Feminine Threads by Diana Lynn Severance. This takes a look at women in the sweep of Christian History. There are some brought out that are lesser-known, but the scope of 2,000 years keeps one from getting too many obscure names. Still, highlighting the work of women is a valuable part of history. Also, I found it surprising that I knew more names and stories of women in Christian history before 1800 than since. I’m not sure what to make of that for me, personally, but it’s true. Worth a look. I must also commend the presence of FOOTNOTES! in Severance’s work. Eric Cline’s 1177BC: The Year Civilization Collapsed has been a fascinating read so far. Since this isn’t a complete review, I haven’t read the whole book. I’m working on it, but his premise has promise. Further, his style gives details on the historical situation without grinding it out too long. I find his dealing with religious and isolated texts fair-handed. Specifically, he reads as willing to consider the Bible to have historical value even as he highlights the issues with that. Beyond this, though, there is the overall material that walks the reader through the trade networks and interconnectivity of the Bronze Age world in the Eastern Mediterranean. If you think that nations only started to talking to each other in the past 300 years, you need to read this. If you think history is all conquest, you should read it, too. I look forward to having some spare book money to gather more books in the Turning Points in History (Ancient History Series). This has seriously stimulated more thought in history for me than I have had for some time. 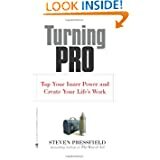 Well worth the time to read—at least the first 4 chapters, and I intend to make time for the rest! Although I must lament the presence of ENDNOTES in Cline’s work. 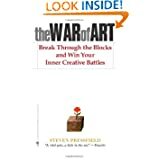 These two books are about developing the creative in you. I’m becoming a fan of Pressfield’s fiction, and look forward to reading more of that. But these two little books (get them e-version, cheaper) are well worth reading if you create in what you do. Well, I just found out Ann’s finally had the chance to finish A Draw of Kings. Time to go talk books with her!